Commonwealth Edison is craftier than you might think, compared to the traditional image of the big, dumb, power company. We are used to receiving their monthly ransom note. It is comprehensive in detail, reducing our extravagant lifestyle to bar charts that rise and fall with every change in the weather. But beyond the normal appeal for money, we now receive a separate Home Energy Report. The statement has no billing or stern demands. Instead, it reports how your household is doing compared to the neighbors. That’s right, compared to the igloo on your left whose roof is sooted with burnt whale oil. Or to the right, your very private neighbor who has lights blazing in the basement, around the clock. 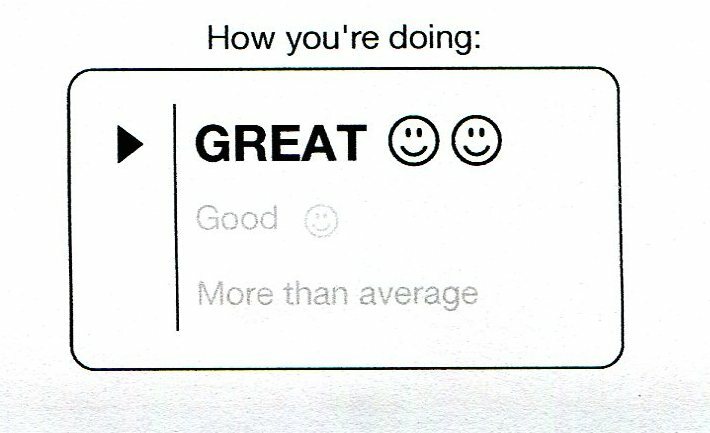 Our report gave us a couple of smiley faces. In the energy world, happiness is about abstinence, and we have aced, barely on the grid at all. 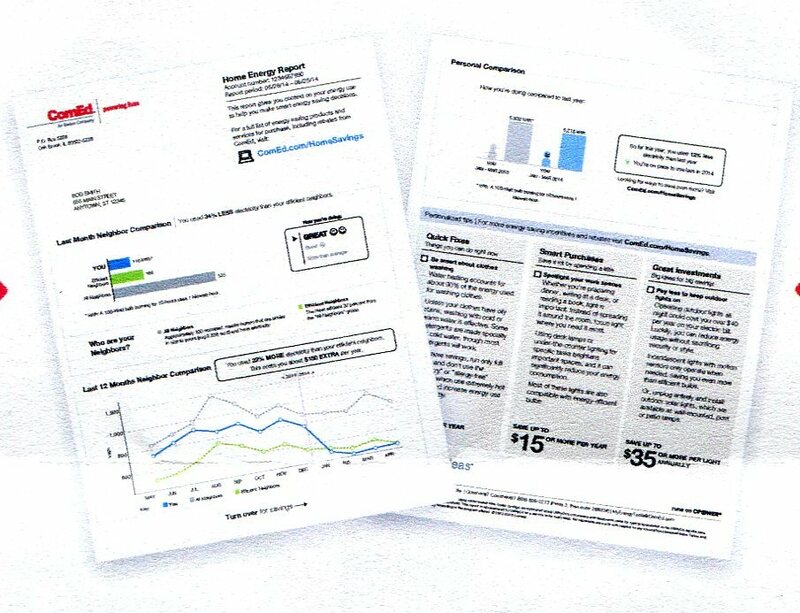 Careful review of this colorful, and highly personalized report reveals that the news comes from a company called Opower. Not to be mistaken for, or associated with a day-time talk show queen, Opower serves some 93 utility companies across the U.S., Canada and globally. It ingests and assembles all energy usage information to create report cards for over 32 million households. At first, this looks like an unnecessary expense, adding to our monthly bill. It turns out however, that peer pressure is a powerful motivator. Opower’s reporting service has reduced electrical energy usage by 4 billion kilowatt-hours since inception. That is roughly one-third of your average nuclear power plant’s yearly production. So why does Com Ed benefit from cutting output? And why spend extra money generating reports to reduce utility billings? Because building new plants to meet energy demand is very, very expensive, and guess who is paying for them– us. It further turns out that Com Ed’s customer satisfaction rates have bumped up since the reports started. Consumers are educated and empowered (haha). 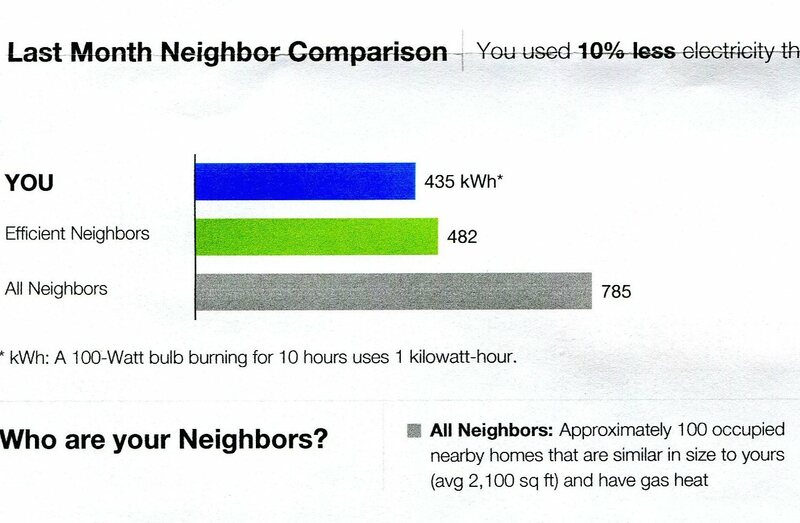 The darker side of the energy reports is the growing suspicion about our 100 neighbors. I think they are having more fun. If you enjoyed this, or know someone who would, be sociable, share! Thanks for reading. → Triple-A’s Got You Covered!